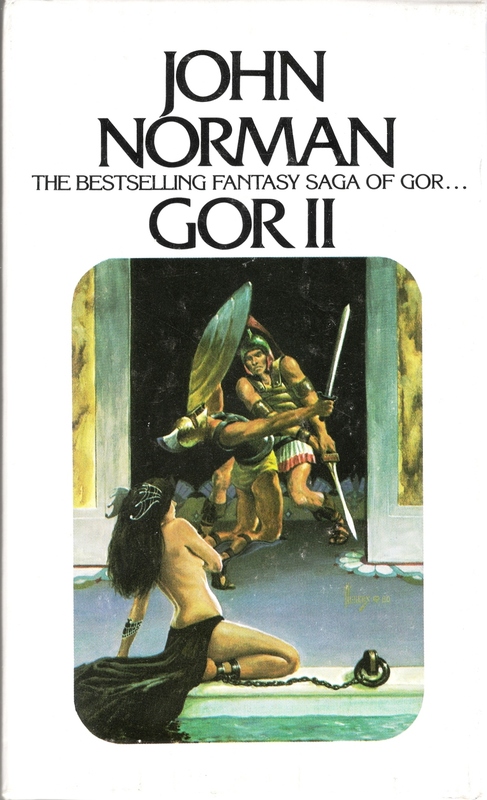 This four-volume DAW boxed set, entitled "Gor II - Deluxe Gift Set", and containing Beasts of Gor, Explorers of Gor, Fighting Slave of Gor and Rogue of Gor, was published under order number PR1123, using the new, and previously unused cover artwork by Richard Hescox (see his signature on the right). The text "Printed in U.S.A." appears on the spine. 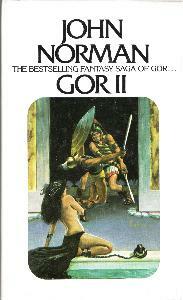 Publication date is unknown, but it has to be after the release of Rogue of Gor in March, 1981. Also, Richard Hescox signature states a copyright in 1980. 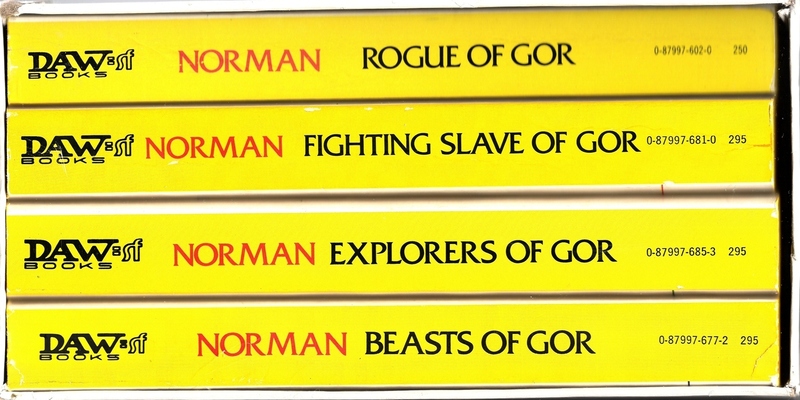 If so, the box might have contained the Third Printing of Beasts of Gor, the Fourth Printing of Explorers of Gor, the First Hybrid Printing of Fighting Slave of Gor, and the First Printing of Rogue of Gor. DAW also published a three-volume boxed set, entitled Gor 1 - Deluxe Gift Set, without an order number; two other four-volume boxed sets, Gor II - Deluxe Gift Set, with order number #PR1122; and Gor 2 - Deluxe Gift Set, without an order number; and a First Printing and a Second Printing of a five-volume boxed set, simply entitled Deluxe Gift Set. No backcover text - the backcover is identical to the frontcover.